Kalamazoo Masters is a group for ANYONE who wishes to improve their swimming ability for recreational, fitness, or competitive purposes. Our mission is to support adult swimming at all levels. Coach Brie Powers will adapt each workout to the ability of the swimmer in order to improve technique, increase efficiency, and build endurance. We invite you to join any of our practices to try us out before committing to registration. We promise you will have a great time! 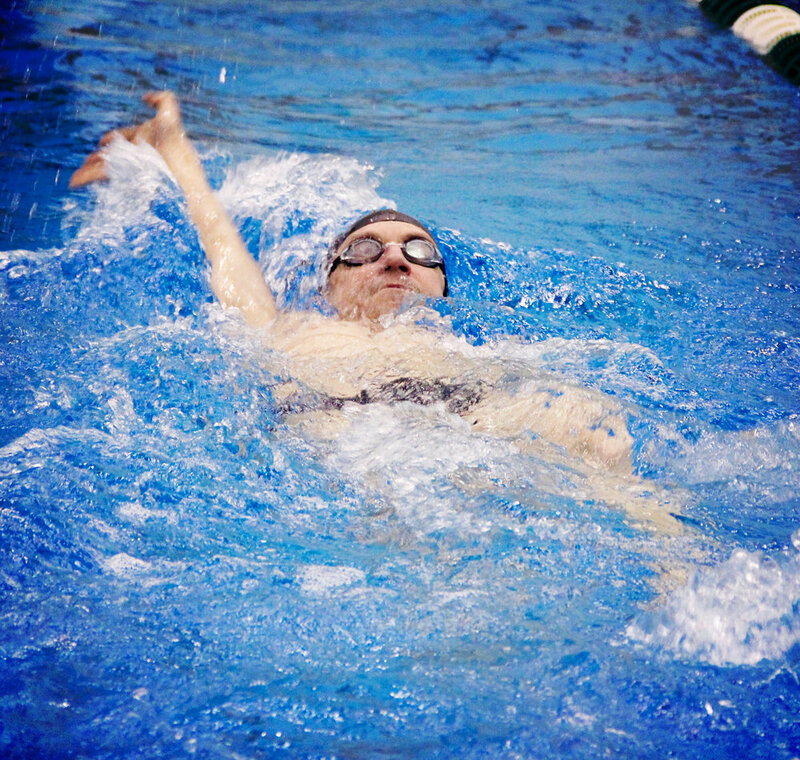 Kalamazoo Masters Swimming is a group of fitness minded adults (18+) who have joined together to form a workout group, a team, and a home to a variety of swimmers. Our swimming community is open to swimmers of all abilities, and includes those who are focused on developmental swimming, improved health and fitness, and competition, with several members competing at the local, state, and national level events. We are proud to count athletes who are life-long swimmers, and those who consider running, biking or triathlons as their primary focus but desire to cross train in the water as part of our team. In essence, the group is a community of people who are like-minded in the belief that overall wellness and healthy living, strength, and focus begins with a regular routine of exercise and effort through movement. Our team is a workout group and is part of the Michigan Masters Swimming which in turn is part of the national organization of United States Masters Swimming (USMS). All members of our group are members of USMS, which offers benefits from insurance, SWIMMER magazine, and sanctioned events. It's important to recognize for swimmers that being in the pool throughout our lifetime is something that is achievable and worth doing. We invite you to join us and realize your own personal goals. There is no street parking available during the 5:00am practices at Kalamazoo College. We have permission to park in the lots indicated in teal. See you at the pool!